Along with warm words from world leaders on the occasion of its 67th year of independence, the Israeli government also received on Thursdaya surprise letter of congratulations from an unexpected source. The Free Syrian Army, a moderate Syrian opposition group sidelined in recent months by stronger Islamist rebels, sent Israel’s leadership a message expressing hope that next year’s independence celebrations will also take place in an Israeli embassy in Damascus. “We congratulate the powerful state of Israel and its people on its anniversary of independence, and we hope that next year we can participate in the joy of the grand occasion in Israel’s embassy in Damascus,” the group’s foreign affairs official Mousa Ahmed Nabhan stated in the message. Israel has never had diplomatic relations with Syria. However, the FSA has been vocal in asking for Israeli support for their campaign against the regime of Syrian President Bashar Assad, with officials even traveling to Israel. The letter was received by Druze political activist Mendi Safadi, who served in the past as a parliamentary assistant to Likud’s MK Ayoub Kara, Maariv reported Thursday. Nabhan thanked Israel for its humane and respectful attitude toward the Syrian unrest and the rebels, saying the Syrian people would never forget any nation that stood by its side. “Warmest regards to the State of Israel and its leadership, and the best of health, happiness and prosperity to its people,” he concluded in his message. The FSA is considered by the international community to be the armed wing of Syria’s moderate opposition, which has been fighting to oust Assad for over four years and enjoys support from the US. 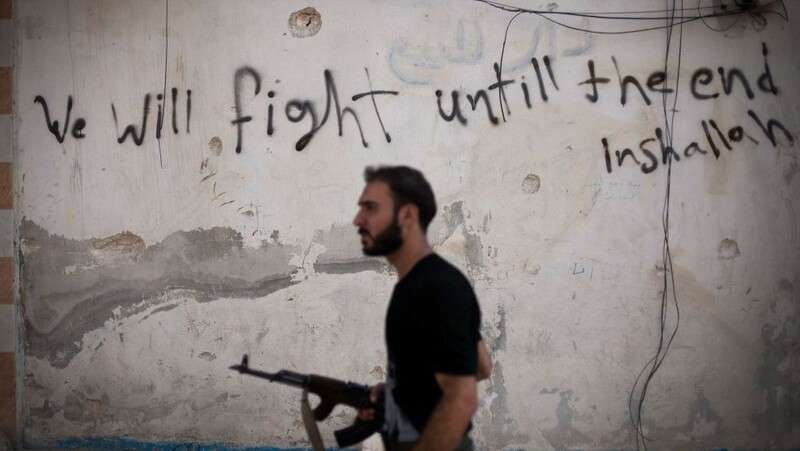 However, the group has been mostly pushed aside by the Islamic State group and al-Qaeda-linked Nusra Front, which have wrested large swathes of Syria previously captured by the FSA. The FSA still controls parts of Aleppo, Syria’s largest city, as well as areas in northern Syria, though analysts have pointed to signs the group may be imploding under pressure from Assad and Islamist groups.